Who should read this book about proprietary trading techniques within the foreign currency exchange, also known as the forex? This book is for beginning,intermediate, and advanced traders who need to increase the odds of successful trades by making precise entries. This means making precise decisions regarding entry selections. 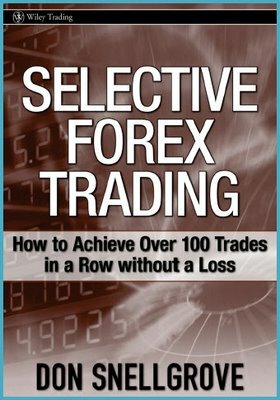 selective forex trading book is for those of you who need to have sustaining income as you develop your personal trading skills. 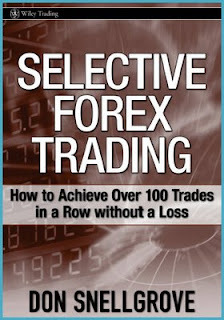 This book is not intended for successful traders who have found a procedure that works, and the information contained within this book is in no way intended to put down other methodologies, traditional trading procedures, or trading styles. The approach presented in this book is a different type of methodology that uses non traditional proprietary trading tools and must not be integrated with traditional methodology.Merging traditional tools that use other mathematical calculations, patterns, and procedures into these new concepts may cause losses.Change and modernization of trading tools, or simply change, may offend experienced traders; again, allow me to reiterate that this is not my intention in writing this book. My suggestion is that if you are successful and happy with your present status regarding trading success and profits, then why read this book? “If it isn’t broken, then don’t fix it,” as some would say; however, if you feel you have not arrived as a successful forex trader, then read on—because maybe this book is just what you have been searching for. I simply ask that you keep an open mind and try not to merge the trading tools of the smaller markets with the modernized tools of this very large and volatile market known as the forex.